I was laying in bed waiting for Mark to wake up earlier this week and I started thinking about my mom. When I was a little girl my best friend and neighbor Carol Pothoff invited me to attend her church at Laketon Bethel Reformed which was located in our neighborhood. My Mom told me I wasn’t allowed to attend Carol’s church because it wasn’t Catholic. She said it was against our Catholic religion to attend someone else’s church. It seemed strange to me at the time but I thought maybe I was too young to understand. Today as I think about my mom’s answer, I realize it was so contradictory to her everyday actions because my mom was so loving and was such good friends with a lot of people that attended Laketon Bethel and other places of worship. My mom was faithful to God so by being obedient to her church teachings she thought she was being obedient to God even if it didn’t always make sense. 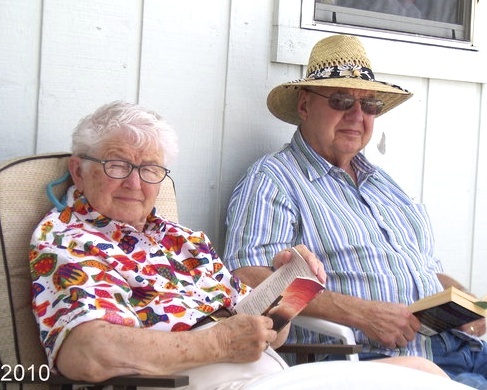 Last fall I received an email from my friend and classmate Ed Doctor about his mother Donna. Sandi sent my mom copies of your blog last weekend. Mom was asked to sit in the “prayer chair” at church on Sunday so the congregation could support her in her prayers. You made her list girl! Pretty good when a Catholic girl makes it big in a Dutch church! The church Donna attends is Laketon Bethel. It’s amazing and comforting that in 50 years we have grown in acceptance to the point that a Catholic girl could be on the prayer list of a Dutch church based on love instead of rules. I know this would also make my mom very happy. It is interesting how religions look at the differences instead of similarities. When I was growing up I was allowed to go to just about any church or synagogue. I had lots of friends and when a neighbor asked I went. My parents were not regular church goers. Then, I turned Catholic when I married Ron. 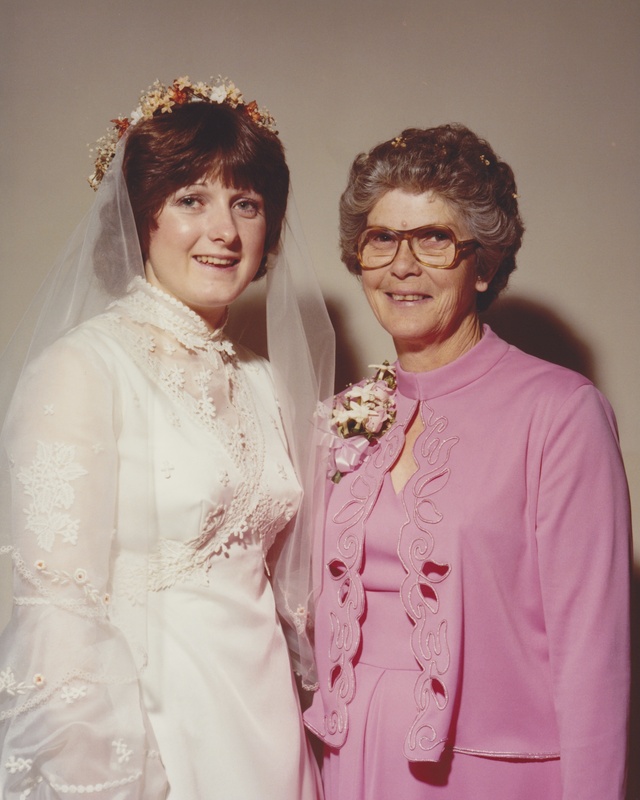 My Grandma McCully even ‘admitted’ at my wedding she thought God could hear Catholic prayers. I agreed with her Protestant rather compromise for the time being. But I still hear so much of the prejudice that goes between religions.if people saw the same instead of focusing on the differences then the world would be a much better place. Wars, feuds and just plain mean nature has been exchanged in the name of religion. I think you grew more beautiful as you got older by the way. Rosemary. You continue to impress and inspire with your wisdom and your love. I pray we all grow in wisdom as we age including the Catholic Church. You don’t age! You look just as beautiful as you did on your wedding day ! Thank God for praying moms ! My mom was one too . We were raised in a catholic home also.. You and yur family are in my daily prayers, always. We have an awsome God! He loves us all the same! Rosemary, you know Martin and Mabel would have been standing at your mother’s side on this issue! Some change is good! What a wonderful story, Rosemary. As we continue to “learn” more about faith, I have come to the realization (at least in my little world) that God is Love. Above all, God is Love. MAN is the one who “teaches” us HOW to love God and the devil enjoys watching us be divided by the rules of each religion. Maybe that is how we got the expression “the devil is in the detail”? Rosemary, you continue to inspire and amaze me with your blog. God loves you and so do I. Beautiful story Rosemary. So glad Corey could come into town. Think of you and pray for you daily. Funny how the understanding of an event comes about just when you need it. Beautiful story! Great story… The circle of life…. Amen or should it be Awomen!!! It’s amazing how things just “come around” through the years. Lovely wedding picture. You know, you look the same!